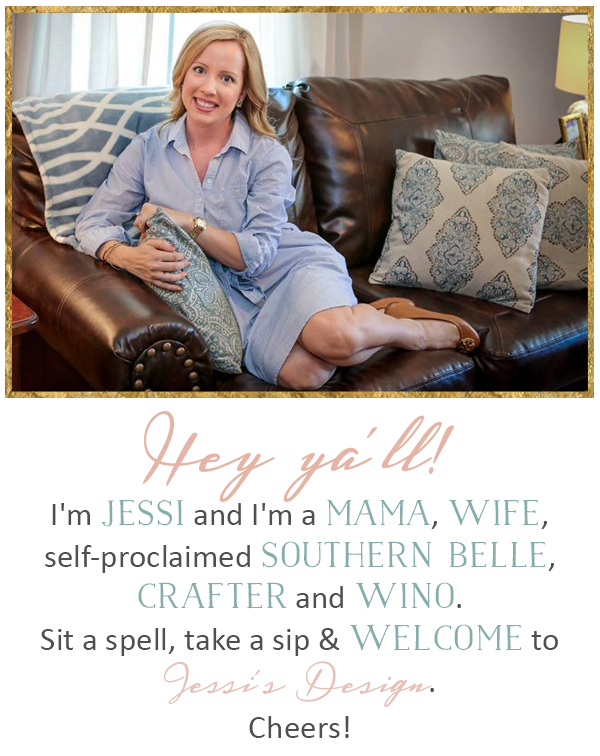 Hey ya'll and welcome to What's Hap-Pinning Wednesday! We're currently enjoying our 6+ inches of snow here in VA still and super cold (like 5 degree temps) and guess what? It's supposed to be over 60 degrees tomorrow...why is VA so bipolar? Anyway, it was nice having my office closed yesterday for snow so it'll be a super short week for me. Since I'm part-time I only work Monday, Tuesday and a half day on Wednesday. This week is my first official week on my own so keep the prayers coming for an easy transition! I have to share Miss Andi's less than thrilled reaction to the snow with ya'll. 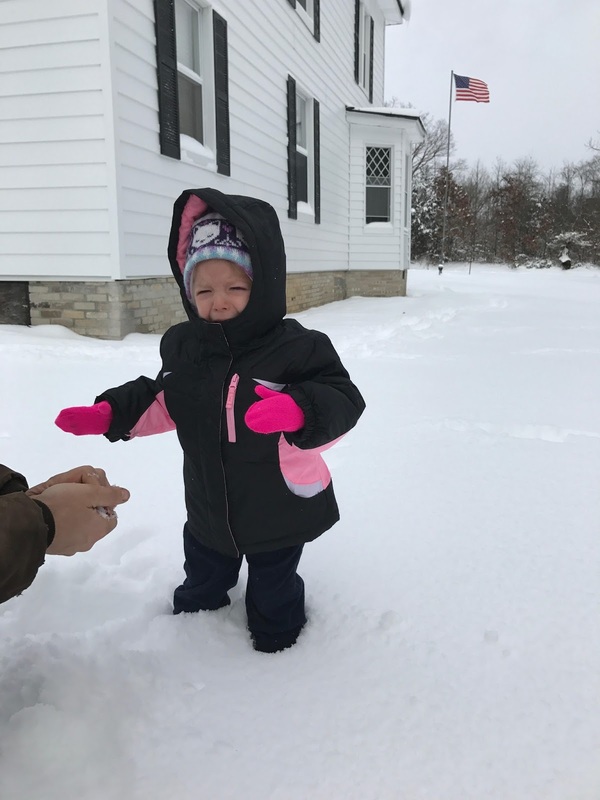 She is most definitely a beach baby and wanted literally NOTHING to do with the snow. 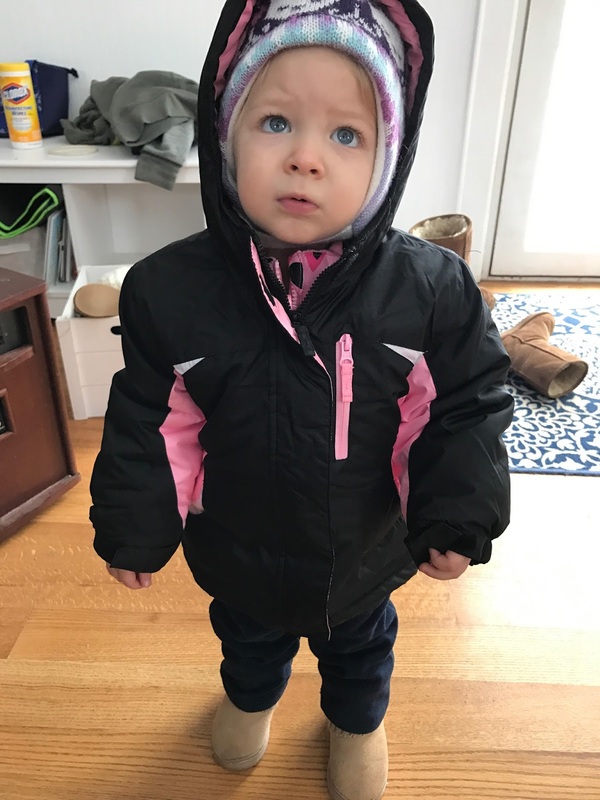 It basically took longer to get her dressed for the snow than it did to have her out there in it. We snapped an obligatory snow pic and went right back inside to snuggle and watch movies instead. Bless her heart. Seriously Mama, do I have to? Also, speaking of heading back to work, if you're like me then you like to pack your lunch most of the time. Sometimes its just easier, especially if you're trying to eat on the healthier or lighter side. Within walking distance of my office is a Mexican restaurant and then a couple fast food joints. My aunt Betty (aka the best Southern cook in these parts) gave me her recipe over Christmas for her chicken salad. 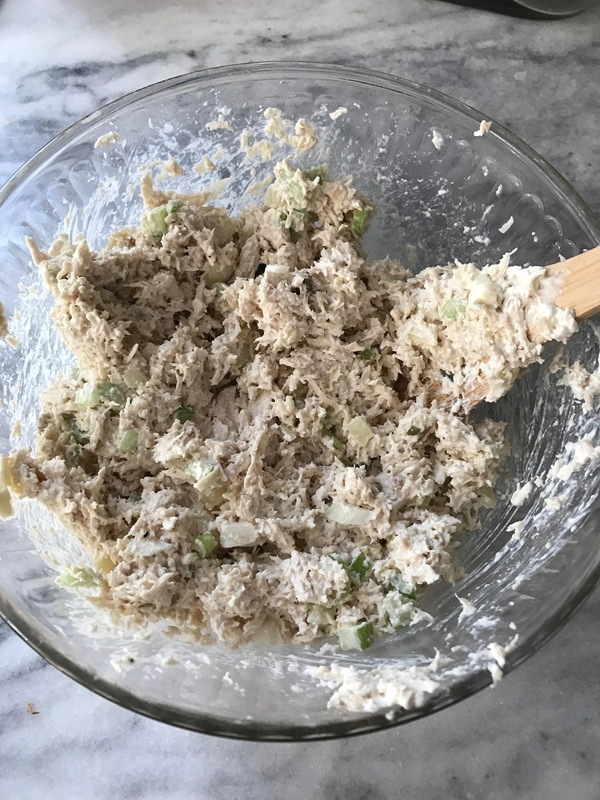 As simple as chicken salad can be - ya'll this is just delish! I could eat it every day and you can tweak it to your liking for sure! I got a food processor for Christmas so now I can chop it to the consistency that she always does and I'm head over heels. With that said, here's the step-by-step recipe so you can enjoy as well! boil your chicken breasts (about 30 minutes) drain and pull apart a little before putting them into the food processor. Use the chop option and just pulse it until it reaches the consistency you're looking for. I like it chopped pretty fine.Add other ingredients and mix well. She also says you can add a little chicken broth for added flavor. Keep refrigerated & enjoy! Simple and delicious! Love Andi's little face! She's like "why are you doing this to meeeeee?" haha Hoping your super short week is just what you need to ease into everything! wow, that is a crazy jump in temps. we were in single digits last week but it's crept up slowly this week. it really is weird weather for january! i am with you on wanting to take my lunch instead of eating out, there are lots of options near work but none of them healthy haha. that chicken salad looks delish, and so easy. i'll have to try it. and of course, Andi's face in the snow - priceless! i feel you girl. hahaha. I may have to look into this chicken salad! I have been really wanting tuna but that's not quite in the cards these days so this sounds like a most perfect substitute, consistency wise, but much more delicious looking! Thanks for sharing it! Andi's face!! Haha. So cute! YAY for the new job, guess who's husband will be up there this week? Andi is the cutest. Good to know a winter wedding is not what she wants ;)! Andi looks so cute! I was laughing at her hating the snow so much (I'm so mean ;)) That chicken salad looks delicious! I'll have to try it! Bahaha! Poor Andi! She's truly a beach babe! Bless! I wish I liked things with Mayo because that Chicken Salad sounds so goooood!